Nepali actress Sanchita Luitel is considered one of the most beautiful and talented actresses of Nepali film industry. 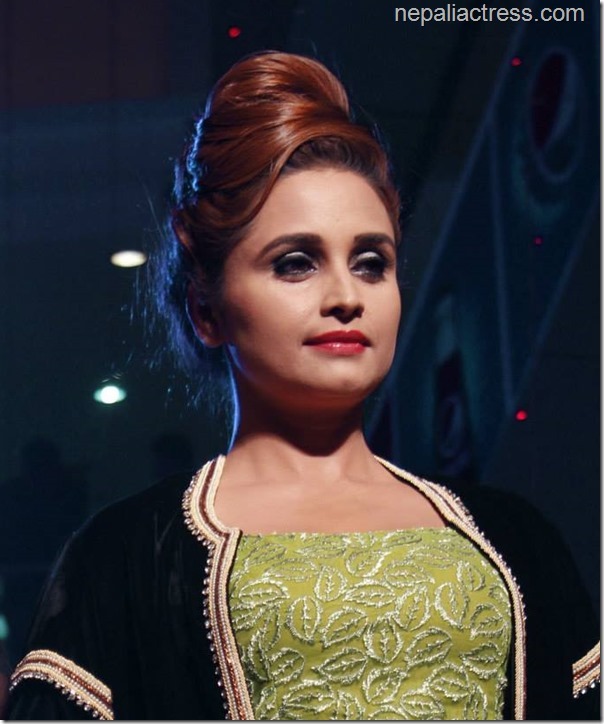 A Masters of Arts graduate, Sanchita is considered one of the most talented actresses in Nepali film industry. Sanchita was born on Baisakh of 2040 B.S in Kathmandu. She started her acting career when she became 18-years-old. She met her first husband Aakash Shah in the sets of the movie ‘Bhanni Sakina’ and fell in love with him. The family wasn’t happy on Sanchita’s decision to marry Aakash. The marriage turned out to be a disaster and she divorced him. (more in xnepali). Aakash Shah is featured in leading role in Nepali movie ‘Bodyguard’ (watch ‘Bodyguard’ here). 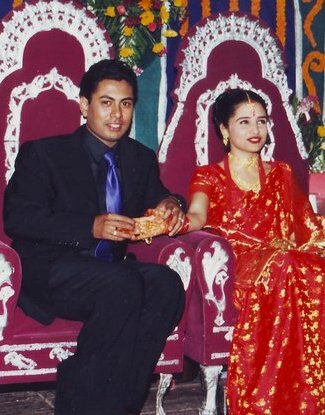 Photo: Marriage of Aakash and Sanchita, 7 years before she married Nikhil. After the divorce she started seeing actor Nikhil Upreti. Nikhil was already married and had a son with his other wife. That didn’t stop Nikhil from eloping with Sanchita to India. Nikhil and Sanchita lived and struggled in Mumbai for a year. 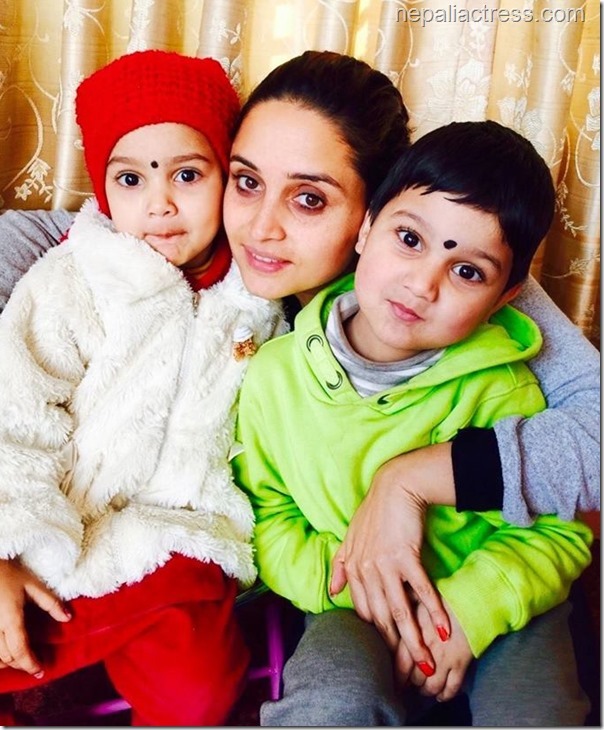 When Sanchita became pregnant, she returned back to Nepal while Nikhil lived in India. A year after the birth of their first child, a son named Aatharv, Sanchita gave birth to a daughter, named Saanvi. Sanchita gained a lot of weight during her pregnancy and child-birth. At the worst time she weighted almost double her normal weight (as much as 88 kgs). In 2013 she reportedly weighted 65 kgs after managing to loose almost 25 kgs.The following January 2015 photo shows that she has lost more weight and is trim and fit. She also returned to the film industry in ‘Nai Nabhannu La 3’ after four years of absence from the industry. one of the most talented actresses. one of the most educated actresses in the Film Industry with a Master’s Degree in Arts. Some of the best films of Sanchita Luitel are Aama, Unko Samjhana, Bhagya Bidhata, Prem Yuddha, Yuddha, Ashirwad, Aama ko Ashirwad, Bhagya le Jurayo, Bhannai Sakina, Binti Patra, Chattan, Chor Sipahi, Don, Maya Namara, Maryadha, Majhi Dai, Papi Manche, Raghu Veer, Saput etc. March 21, 2017 – Names of her parents and sisters added. Date of birth of her daughter added. This entry was posted in Movie actress and tagged Nikhil Upreti, Sanchita Luitel. Bookmark the permalink.